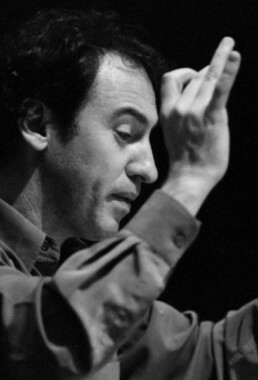 Fabián Panisello, Argentinian-Spanish composer and conductor, is internationally knonw on the contemporary music stage for the high quality of his work. In the words of Karlheinz Stockhausen: “full of ideas, intense and bursting with energy (…) I am very happy to see that the spirit of Webern continues to live in a changed world”. 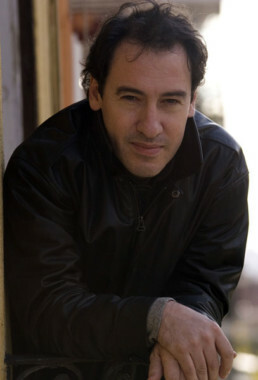 Fabián is the director and founder of PluralEnsemble and director of the Escuela Superior de Música Reina Sofía and the Instituto Internacional de Música de Cámara in Madrid. He was formed as a composer with Francisco Kröpfl and Julio Viera in Buenos Aires and with Bogusław Schaeffer in the Mozarteum in Salzburg (Diploma of Excellence, 1993). He completed his formation with Elliott Carter, Franco Donatoni, Brian Ferneyhough, Luis de Pablo and Peter Eötvös, among others, and he has been awarded prizes such as the Mozarts Erben of the city of Salzburg or the Premio Iberoamericano de Composición Rodolfo Halffter. He is a member of the Academia Nacional de Bellas Artes of Argentina. His chamber opera Le Malentendu has been premiered to critical and public acclaim: “we are surely in the presence of the best premiere of new opera in the Teatro Real in a long time” (Tomás Marco); “Panisello possesses a very special talent for the stage, creating an exciting theatre with magnificent music” (Peter Eötvos). Le Malentendu was coproduced between the Teatro Colón of Buenos Aires, Warsaw Autumn Festival, Neue Oper Wien and the Teatros del Canal and Teatro Real in Madrid. Fabián is currently working on the Multimedia Musical Theatre Les Rois Mages, in an international coproduction, commissioned by the Ernest von Siemens Music Foundation through the Centro Superior de Investigación y Promoción de la Música and the Universidad Autónoma de Madrid Fonudation. 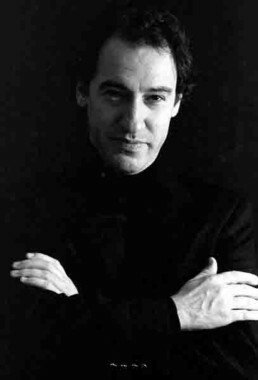 He has also received commissions for the National Orchestra of Spain, Festival de Donaueschingen, Ensemble Modern, Goethe Institut, Orchestra of the Community of Madrid, BBVA Foundation, Italian Institute of Culture, Alte Oper of Frankfurt, Secretariat of Culture of Buenos Aires, or Festival Takefu of Japan, among others. 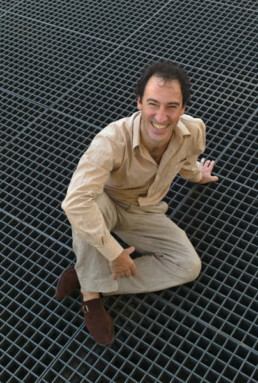 His work has been recognized and supported by personalities such as Pierre Boulez, Luciano Berio or Karlheinz Stockhausen, having collaborated in two world premieres of the latter with the orchestras of the Westdeutscher Rundfunk of Cologne and the Deutsches Symphonie-Orchester of Berlin; and his works have been performed by artists such as Pierre Boulez, Peter Eötvos, Susanna Mälkki, Leigh Melrose, Allison Bell, Marco Blaauw or Francesco D’Orazio, and the BBC Symphony Orchestra, Deutsches Symphonie-Orchester of Berlin, Orchestra of the Mozarteum of Salzburg, Orquesta Nacional de España or Shanghai Symphony Orchestra, Arditti Quartet and Ensemble Modern, amongst many others. He participates in the principal festivals of the world dedicated to contemporary music, such as Wien Modern, Munich Biennale, Présences, Ars Musica, Ultraschall, Aspekte, Manca or Klangspuren Schwaz; and he has recently been invited as conductor and resident composer at the Sound Ways Festival of Saint Petersburg, the New Music Week Festival of Shanghai, the Festival Manca in Nice, the Centro Nacional de las Artes (CENART) of Mexico, the Master of the Fundación Baremboim-Said, the Bridges Festival of the Vienna Konzerthaus or the International Summer Academy of the Mozarteum in Salzburg, amongst others. His discography includes recordings for NEOS, Col legno, Cypres, Verso or Columna Música, amongst others. His work is published by Peters Edition of Leipzig. April 2018 / 551 words. Not to be altered without permission. Please destroy all previous biographical material.